We know that maintaining our good health takes care, effort — and money. So, at Corn Crib Natural Foods, we’re always on the lookout for products that provide optimum quality while maximizing our customer’s’ budget dollars. That’s why we joined the Health First Network — to pass the quality and savings onto you! 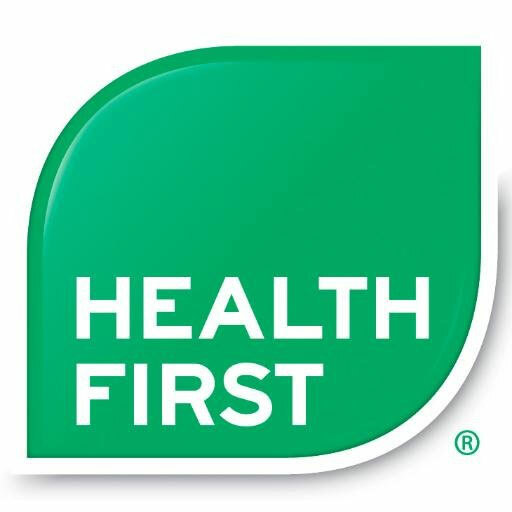 The Health First Network is made up of independent health and wellness retailers in over 120 stores across the country. We’ve banded together to bring you the best in quality and value. Health First products are proudly made in Canada with the highest quality ingredients and standards. All products are free of artificial colours, flavours, and gluten. One of the many things that makes Health First products special is that they are manufactured from the highest quality sources. Health First went to Iceland to source Aquamin for our CalMag because it’s the best, and they use only the Meriva form of curcumin in its Curcumin — again because it’s the best. Even though we are just three stores in the tiny province of New Brunswick, we’re proud to say that Corn Crib Natural Foods consistently ranks high in the Health First family for sales (per capita). We sell so many because we believe in the excellence of Health First. They are also a personal staff favourite, which is high praise indeed coming from our nutrition fanatics! Health First has nearly 100 products in categories like essential fatty acids (EFAs), herbals, minerals, supplements, and vitamins. We also carry the Health First Supreme blends for an extra health boost. B vitamins are coenzymes involved in many bodily functions — the nervous system, brain function and the production of energy through the metabolization of carbohydrates, proteins and fats. They are essential to life and a deficiency of B vitamins can show up in our bodies as such symptoms as low energy, poor mental functioning or the inability to deal with stress and anxiety. 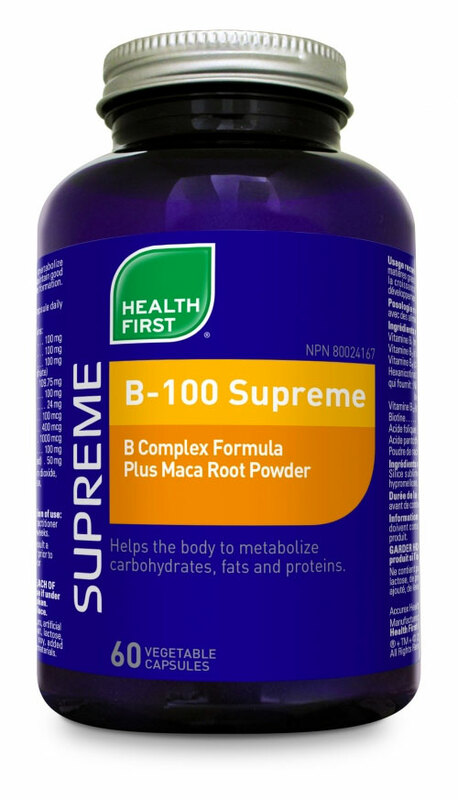 Our B-100 Supreme blend includes a double dose of the vitamin B complex, which helps us cope with high levels of stress. Plus, the added maca root powder also helps us adapt to stress. Maca root is an adaptogen. It helps the body to perform normally during stressful conditions by balancing the body’s hormonal production. Hormones that are too low get regulated upward by maca root and hormones that are too high get regulated downward. Maca root nourishes the pituitary and hypothalamus glands. We also love and trust the Health First brand because the products are manufactured in Canada, made from the highest quality sources with the highest level of enquiry and constant tweaking to improve each product as research changes. And, because the Health First Network is a cooperative of independent retailers, you can be assured that these products will never be devalued by making them with lesser ingredients, which can be the case when products move into production for the big box stores. Perhaps the best guarantee we can offer is the Health First guarantee: If you you try a Health First product and find you don’t like it or it doesn’t work for you, you can bring it back for exchange or full refund. Come into any one of our stores in Moncton, Dieppe, and Saint John and enjoy the differences quality and buying power make.